It's no secret that I love statement jewelry and Eye Candy Los Angeles is, in my opinion, the place to shop for truly beautiful and reasonably priced jewelry pieces and accessories. Their stuff is really fabulous. Their jewelry pieces really stand out - they're large, eye-catching, unforgettable and sparkly. And just all around wonderful! 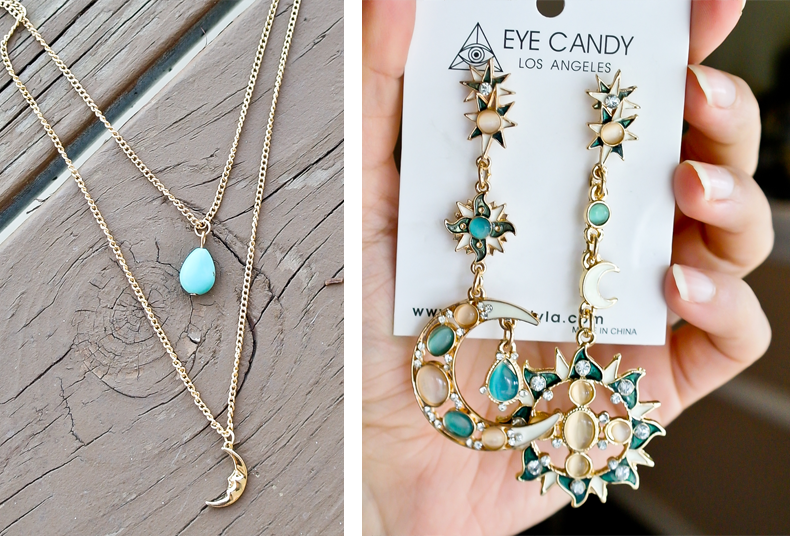 Today, I get to share with you my reviews of two jewelry pieces from Eye Candy Los Angeles collection. 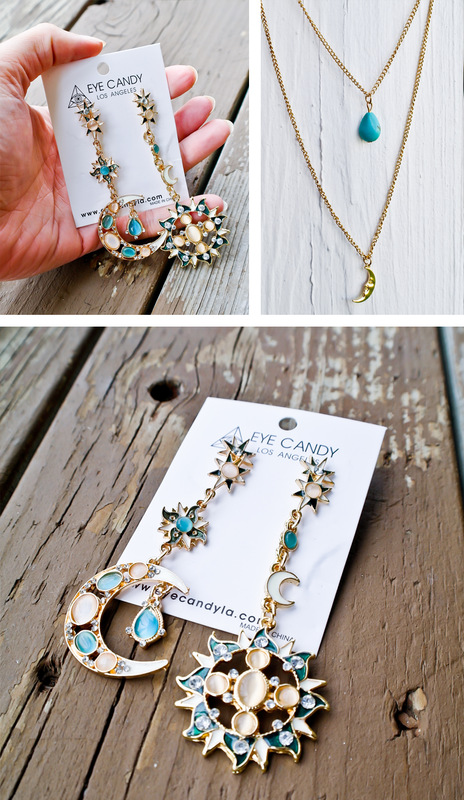 I got the Sun and Moon earrings and the Stone Moon Necklace. These earrings are real show stoppers. They're absolutely stunning. They're large and beautifully detailed, with different colored gemstones and zirconias. I love that they are asymmetrical, that makes them so much more special and unique. The sun one is also slightly longer, which, admittedly, bothers me a little bit, but I don't consider this is a deal-breaker by any means. 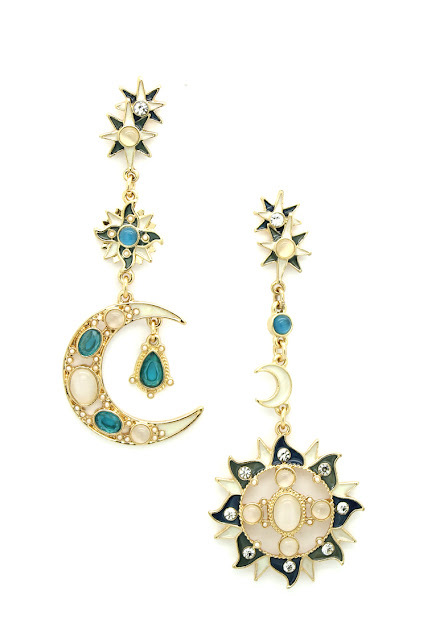 These earrings are just too magical to pass on. Because of their size and the abundance of gemstones, they are a bit on the heavy side, so if you're not used to wearing large and heavier earrings, you are going to have to take it slow. I wore them on our Niagara Falls 4th of July trip and while I absolutely loved the look, by the end of the day I couldn't wait to take them off :) It's a matter of getting used to their weight thought. Now, I can wear them all day long and the extra weight doesn't bother me any more. I decided to get this necklace because I thought it would compliment the earrings very well, and of course, it does. 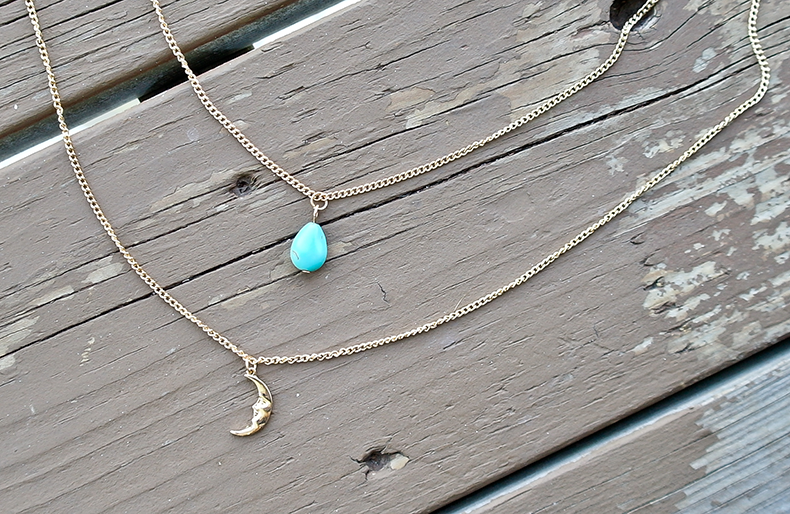 It's a double chain necklace with a teal stone and a half-moon pendant. 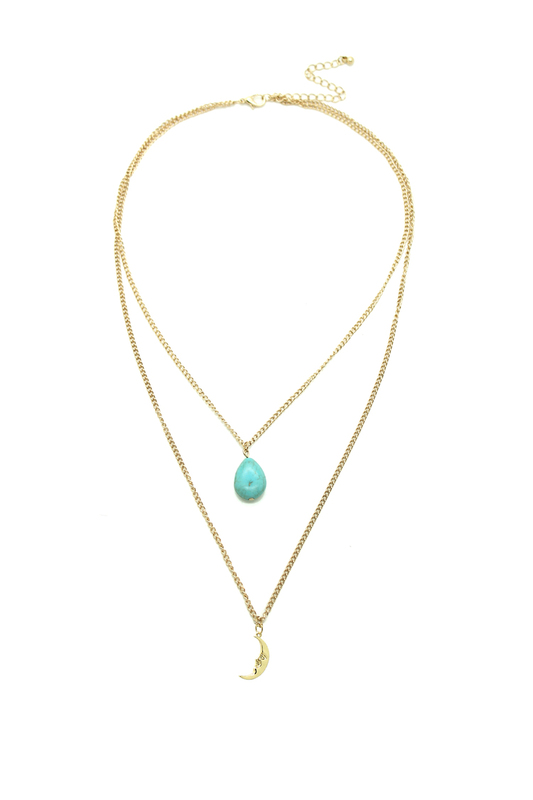 The chain comes with a decent size lobster clasp and its length can be adjusted. It's a nice length for a low-cut dress, and I love wearing this necklace with my tribal print maxi dress. The stone and the pendant are not too large, and therefore, not heavy at all. In fact, this is quite a delicate, lightweight and charming piece, and it balances out the over-the-top character of the earrings. 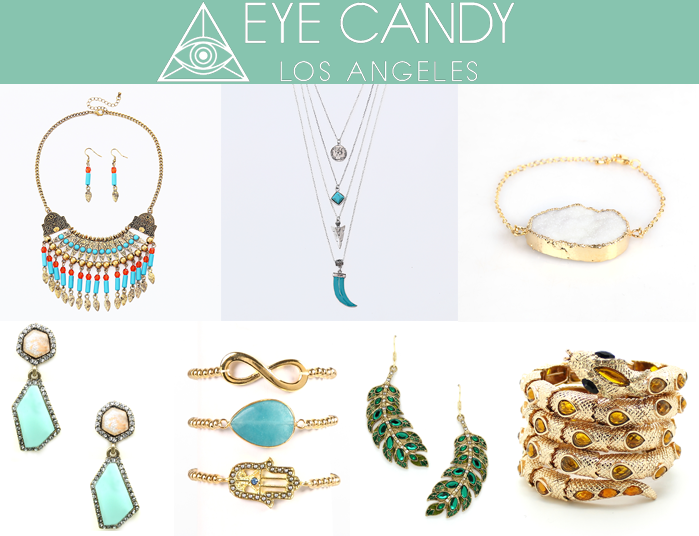 You can win $150 worth of Jewelry from Eye Candy Los Angeles!